At Inspire DJ we pride ourselves in offering djs who are experienced and current. Our philosophy is to play great music that makes people dance without having to resort to overplayed party music. 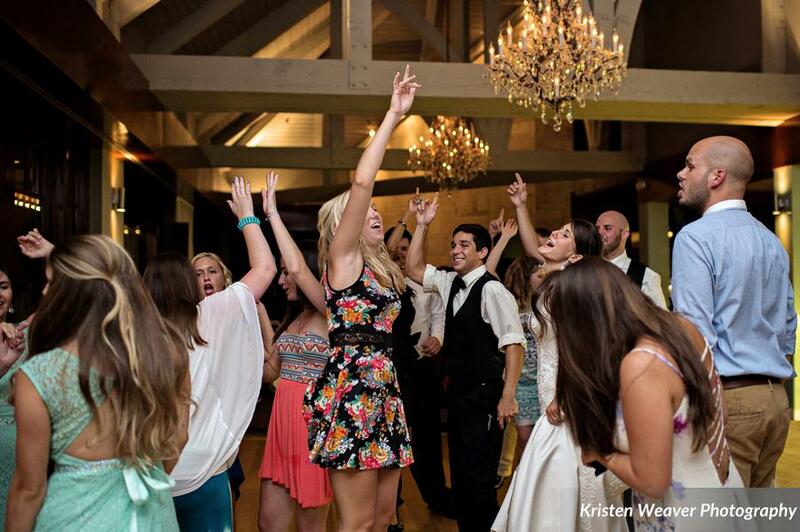 Together, you and your dj will work to ensure that the event remains true to your vision. Your dj will emcee and keep everyone informed without ever being over-the-top. proudly traces his roots as a Tampa native back many generations. He started Inspire to be a fresh entertainment option in the Bay Area. Justin's career in music started over a decade ago as a professional drummer and guitarist, and those years of live performance still inform his approach to the turntable. Despite dj'ing over 40 events each year, Justin believes every one should have a unique soundtrack - "Play the perfect amount, of the perfect songs, at the perfect times." has more than fifteen years of experience in the entertainment industry. After attending Northwest Florida State College for Music Performance, he began performing with a relentless work ethic, and never slowed down. His combination of strong DJ and vocal skills make him incomparable in the industry. Josh keeps the dance floor packed, which is why he is highly sought after in the event world. Named Event Solutions’ 2011 "Entertainer of the Year," Josh has performed for Dollywood and Busch Gardens. In addition, he continues to delight crowds as the lead singer of two local award-winning bands. found his love for music working in clubs over the past ten years. When Mike isn't playing weddings or events, he develops mixes for spin classes in the Tampa Bay area. Mike is always searching for high-energy tracks to motivate people to keep moving, whether they are on a bike or dance floor. I consistently recommend inspireDJ to my clients and they never fail to impress each and every one of them. I have the utmost confidence in the high-energy entertainment that they provide and absolutely adore working with them! We really can't thank inspireDJ enough for the spectacular job they did at our wedding. 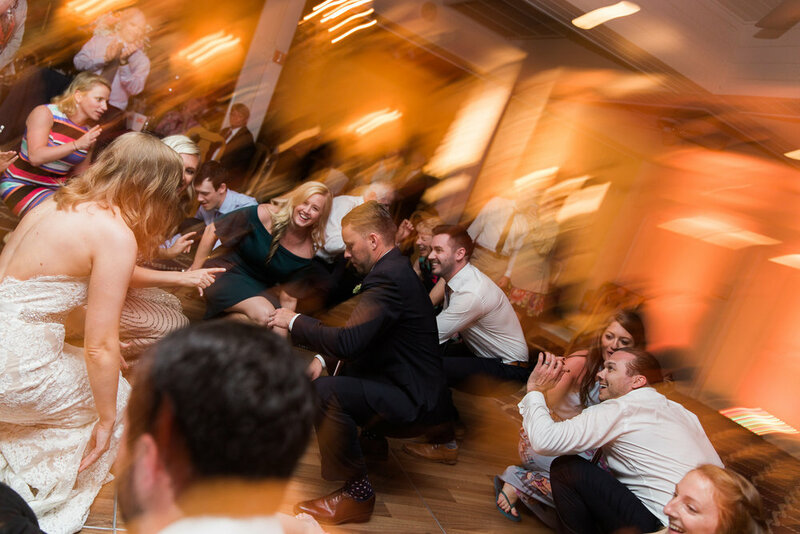 Our main goal was to keep everyone on the dance floor - and I can objectively say that I've never seen so many people on a dance floor at a wedding - for so long! It wasn't just the music which was incredible - I think what really set the stage for the night was the lighting. He put up several LED lights throughout the room. The room just looked beautiful all night - and the lighting was so perfect that I frequently felt like I was in a movie - of a wedding! It was actually surreal how well they had visualized what we couldn't quite explain! So - really I want to thank inspire (as do countless of my friends and family members who have told me that is was the most fun they've had at a wedding) - for their professionalism, vision, hard work, and for making our wedding the night that it was for us. Going with inspire was the best decision that we made! I would like to compliment Josh on a wonderful job during my son Casey's wedding at the Sandpearl Resort in Clearwater. Josh worked well with my daughter in law, Jennifer and my wife, Arlene to coordinate a beautiful playlist and timeline for the reception. We couldn't have been more pleased with Josh as he listened to our requests with grace and understanding. When people think back to a wedding reception they reflect on the food and the music. Josh made our guests very happy with a variety music that kept the dance floor crowded until the wee hours of the morning. Many wonderful memories were a direct result of the evening of entertainment provided by inspireDJ. I cannot thank you enough for the amazing job you did for my client's wedding. As a wedding planner, I find one of my greatest challenges to be working with the personalities of DJs and Bands, but you were so fabulous to work with. Not only did you show up on time, but you were surprisingly early. I cannot thank you for the small things that you did throughout the day to ensure the event was a huge success. Not to mention saving the day for my client when she had a lighting problem with another vendor. You stepped in and made everything work to ensure a happy Bride. You also kept the dance floor packed for the entire reception! My favorite part of the night was having my Bride walk up and say, "I cannot thank you enough for referring Inspire"
Justin gave us the perfect wedding reception -- he was low key and let the music tell the story of our evening, he completely understood the atmosphere we were hoping to create and executed beautifully. He was incredibly accessible through the planning process and had several phone conferences with my fiancee, myself, my parents and our wedding planner (all of whom were in separate cities). He was patient and kind and knew exactly how to move through the rhythm of the evening in order to get people on their feet an dancing. I would absolutely recommend him again to anyone looking for a DJ in Florida --he perfectly made our wedding vision a reality and was an absolute professional to work with. The Florida Aquarium has made inspireDJ the main DJ for both our fundraising events and those of our private clients. We can always count on Justin to deliver great entertainment to our guests. He has performed at our Nauti-Night, Sudsfest, and New Years Eve events to great accolade from our guests. He is talented, professional and polished. We will certainly continue to use inspireDJ for our future events. We would love to hear what inspires you! Tell us a little about your wedding and we can start the conversation.